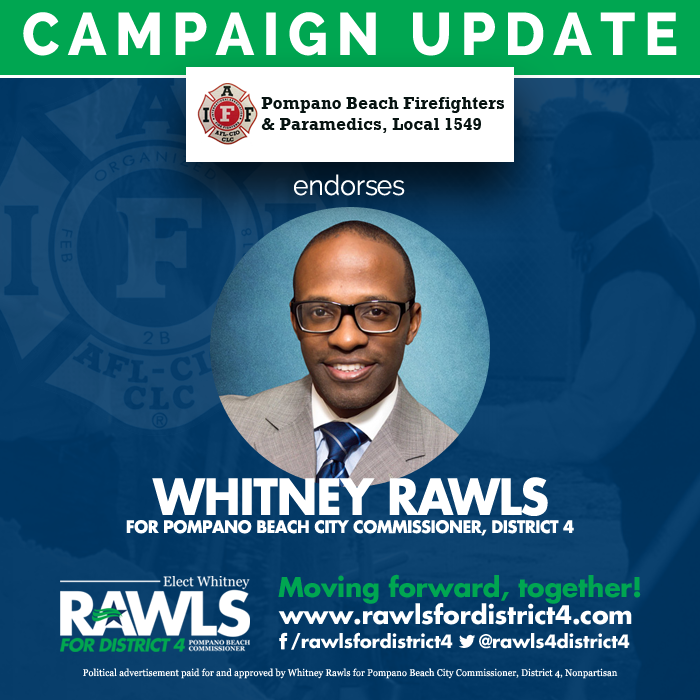 I’m honored that the men and women of Pompano Beach’s Professional Fire Fighters, IAFF Local 1549 have endorsed and are supporting my campaign for District 4 Commissioner of Pompano Beach. Their selfless service to our city is proven everyday when they show up for work and commit their lives to serving our residents. © 2014. All rights reserved. | Made clear by Notion Motion Corp.